Most people believe that improving their style requires a lot of time, money, and a personal glam squad. While those things certainly don’t hurt, I often help my clients realize how they can enhance their appearance and style with just a few tips and tricks. They are usually amazed by how a few tweaks can make such a huge difference. As a result, they feel more confident when they walk into a room, they feel more powerful during a business meeting, and they also feel like they can take on bigger challenges, simply because they are less worried about how the look. In this article, I share 5 things that both men and women can do to get immediate and results to improve their overall image. If you carefully implement these recommendations, I guarantee that you will begin to receive compliments from friends, family, coworkers, and even strangers. I know it sounds simple and obvious, however, what is common sense is not always common practice, so I want to start with the fit of your clothing. The vast majority of people wear clothes that are too small or too big. This is particularly common when it comes to professional attire. 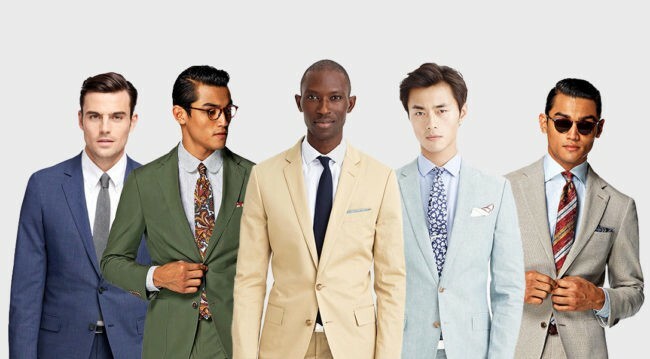 The most common errors I see are sleeves that are too long, suit jackets that are too big and boxy, trouser hems that are too long, shirts and blouses that are ill-fitting. With just a nip here and a tuck there, you can breathe new life into your existing wardrobe for just a few bucks paid to a great tailor. I was recently at a college career fair where I volunteered my time to coach attendees on their resume and career goals. Of course, given my work as an image consultant, I couldn’t help but notice that many attendees seemed somewhat clueless about their appearance and visual presentation. As a result, I had several of the attendees that I coached stand up, as I tucked their sleeves under, lifted a trouser leg to the right length, or retied a tie so that it fell to the appropriate position. As if I were a magician, they were instantly amazed and in awe at how much better they looked by the simple tweaks. Knowing and wearing the colors that look best on you is a second simple trick. Although choosing the right colors may seem a bit subjective, I believe that most people inherently know what colors look best on them. It’s usually the color(s) that they are complimented on the most when they wear it. ite dramatic. You can go from looking tired, washed out, and sick, to looking vibrant, youthful and energetic. One trick you can use to determine your undertones is to use the quick and easy jewelry test. Simply see if gold or silver jewelry looks best on you. This is not about which one you like, or prefer, but it’s about which one seems to be more harmonious and complimentary to your skin color. If gold looks better, that means you have warm undertones. If silver looks better then that means you have cooler undertones. If you really can’t tell, or they both are equally flattering, that may mean that you are truly neutral, or the test is to simplistic. Another simple test is to see how your skin reacts in the sun. If you turn more bronzey and golden, then your undertones are warm. 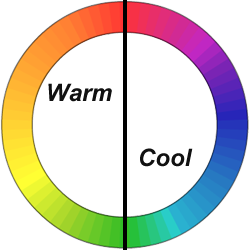 If you usually turn red and you burn easily, then that’s an indication that your undertones are cooler. When you are wearing the right colors on a consistent basis the compliments will begin to flood in! For many people, cleaning out their closet can be a traumatic experience. The reason most people have a difficult time with this exercise has to do with what I refer to as the TPM model — Time, Person, Money. Time: Certain items in the wardrobe can remind someone of a particularly enjoyable time of their life, let’s say for example, when they were in college, or when they first got married, etc. It’s hard to let go of the items because of these fond memories. However, people may also hold on to items because the items may remind them of a sorrowful time, such as the death of a parent or close loved one. What I help them to realize is that there may be other ways to memorialize the cherished memories, apart from holding onto items that take up valuable space in the closet. Person: Another reason that people are reluctant to part with clothes and accessories is because the items where given to them by someone special, and they feel as if they might be betraying to person if they discarded the item. Money: A final reason that people tend to hold on to things in their closet is because of the amount of money that they spent on the item. It doesn’t matter that they have had the article of clothing for multiple years and have never worn it, it just matters that they spent a lot of money for it. This is silly on so many levels. However, to feel better about the lose of the item, or to recoup some of its original value, I usually recommend that my clients do one of three things: 1) donate the clothing to an organization like Career Gear or Dress for Success, 2) put the clothes on consignment at a local consignment shop, 3) sell the clothes on a site like eBay. b) No Break — This is my go to look at the moment, the pant leg falls straight with no bend in the vertical line. This is still a very fashion-forward look, and it looks on shorter guys that are looking to appear taller. c) Slight Break — I would recommend this for guys that usually wear half or full breaks. Its a gradual way to decrease the pant length without feeling like it’s too drastic. 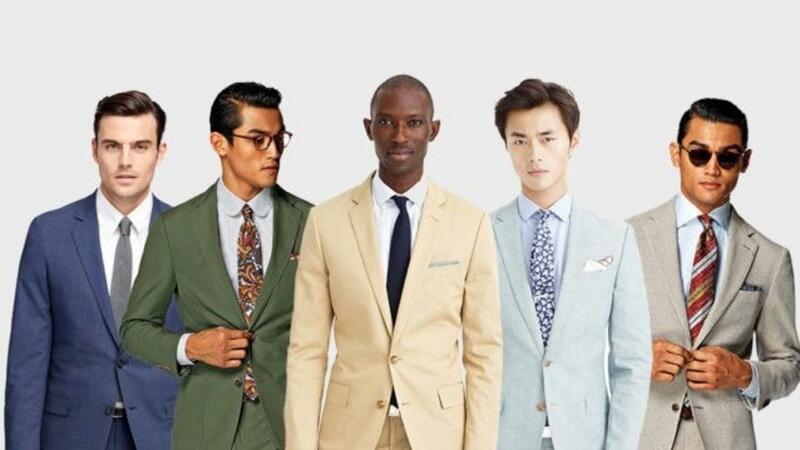 This is a good approach to modernize an older suit. d) Half Break — This is about the most that I would suggest in a break. At this break length the pants are starting too look a bit long. e) Full Break — I don’t recommend full breaks to my clients. This type of break usually results in the pants looking big and a bit more sloppy. I tend to prefer clean lines with minimal disruption to the vertical line. The final tip that I’ll offer to improve one’s appearance quickly is by creating a slim silhoutte. While we touched on the upper body fit challenge in the first point, I’d now like to talk about the lower body challenge. 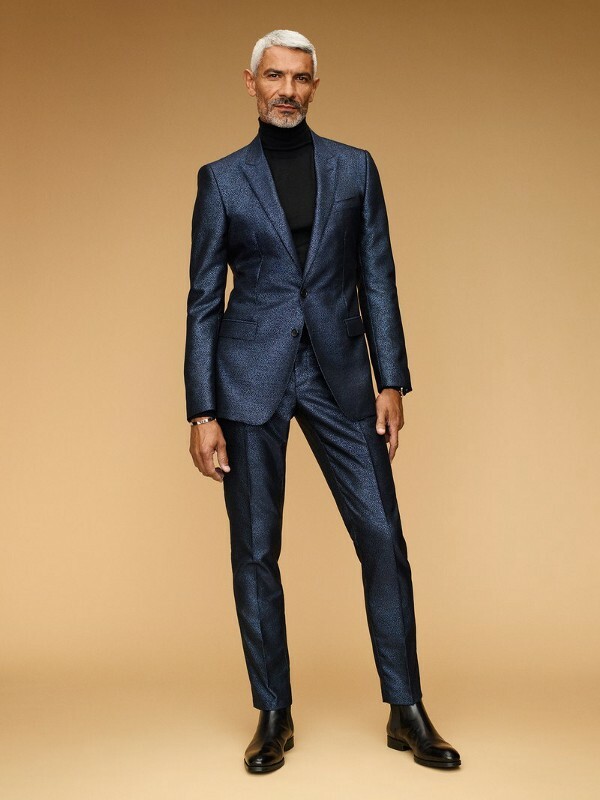 Many men have suits and slacks with very full, and even baggy, legs. To create a more current and up-to-date appearance, I suggest taking the pants to a tailor and telling him / her that you want a “drainpipe” leg. That basically means that you want them to make the legs of the pants narrower from the inseam to the bottom. Not every tailor will know how to do this right, but a very good tailor will. This little hack will instantly take off pounds and years from your appearance. You will look leaner and much more stylish. For more information on this topic, check out my book, “The Zen of Executive Presence”, and download my new free ebook, “Leading with Style”. In my ebook I share 6 simple tip to build confidence and inspire others through your appearance and personal style.